WELLINGTON: Up to 1,000 tourists were stranded in New Zealand's Golden Bay Wednesday after the remnants of Cyclone Gita buffeted the South Pacific nation, officials said. Elsewhere, the storm cut power to tens of thousands of homes, felled trees, and washed away roads. 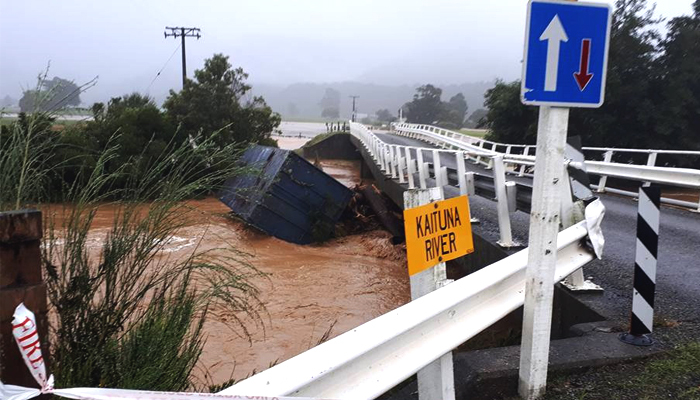 It has since been downgraded but still carried a sting in the tail when it reached New Zealand overnight, bringing 140-kilometre-per-hour (90-mph) winds and around 200 mm (7.8 inches) of rainfall. Most reported early Wednesday that the weather had not been as extreme as predicted, with the top of the South Island the worst-hit area. "Ferry and barge and for some people air travel... we've got a population of 5,000 people who need to eat and we've got holidaymakers," he said. The official MetService weather bureau said the storm had moved out to sea south of Christchurch by mid-morning Wednesday.